> Students should understand the costs and revenues of firms: total, average and marginal concepts. > Students should be able to distinguish between how these change in the Short- and long-run. If a firm is producing in the most efficient way possible in the long run, but they then want to expand, they will have to expand along a short run average cost curve as they will be limited by their fixed factors. However, in the long run they can get more of the fixed factors and so will move back down to the long run average cost curve. This is why the LRAC is made up of a series of SRAC curves. Average revenue is equal to total revenue per unit of output. When all output is sold at the same price, average revenue will be the same as price. 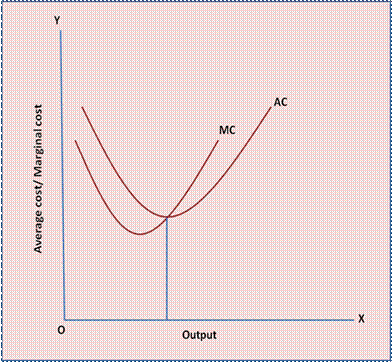 Hence the AR curve is equal to the ...............curve? Due to the nature of demand, as price per unit falls, demand increases through a movement along the demand curve. This increases total revenue, although because the demand curve is downward sloping, the average revenue falls as more units are sold. This causes marginal revenue to decline. 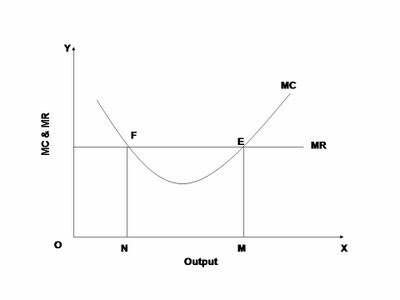 Eventually once marginal revenue becomes negative, a further fall in price causes total revenue to fall. What happens if PED is equal to infinity? Where does the profit maximising firm operate at?